Akashic Books continues its groundbreaking series of original noir anthologies, launched with the summer '04 award-winning best seller Brooklyn Noir. Each book is comprised of all-new stories, each one set in a distinct neighborhood or location within the respective city. 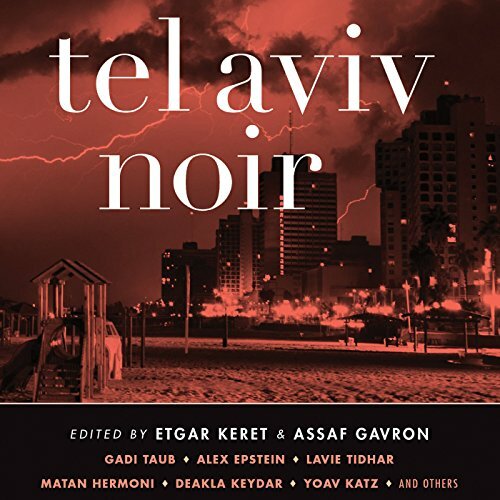 For Tel Aviv Noir, Etgar Keret and Assaf Gavron have masterfully assembled some of Israel's top contemporary writers into a compulsively readable collection. From the introduction by Etgar Keret: "In spite of its outwardly warm and polite exterior, Tel Aviv has quite a bit to hide. At any club, most of the people dancing around you to the sounds of a deep-house hit dedicated to peace and love have undergone extensive automatic-weapons training and a hand-grenade tutorial... The workers washing the dishes in the fluorescent-lit kitchen of that same club are Eritrean refugees who have crossed the Egyptian border illegally, along with a group of bedouins smuggling some high-quality hash, which the deejay will soon be smoking on his little podium, right by the busy dance floor filled with drunks, coked-up lawyers, and Ukrainian call girls whose pimp keeps their passports in a safe two streets away. Don't get me wrong - Tel Aviv is a lovely, safe city. Most of the time, for most of its inhabitants. But the stories in this collection describe what happens the rest of the time, to the rest of its inhabitants. From one last cup of coffee at a caf targeted by a suicide bomber, through repeat visits from a Yiddish-speaking ghost, to an organized tour of mythological crime scenes that goes terribly wrong, the stories of Tel Aviv Noir reveal the concealed, scarred face of this city that we love so much." Featuring brand-new stories by: Etgar Keret, Gadi Taub, Lavie Tidhar, Deakla Keydar, Matan Hermoni, Julia Fermentto, Gon Ben Ari, Shimon Adaf, Alex Epstein, Antonio Ungar, Gai Ad, Assaf Gavron, Silje Bekeng, and Yoav Katz. ©2014 Akashic Books (P)2014 Audible Inc. Most of the stories was overly esoteric for my liking. I just wanted a bit of light reading.